Ep 52: Do you have "Employee Mentality"? Have you ever felt like "work was work" and creating wasn't? How can we change our mentality around creating to be aligned with doing our greatest work? Jo-Ná talks about her process of aligning both in this episode. 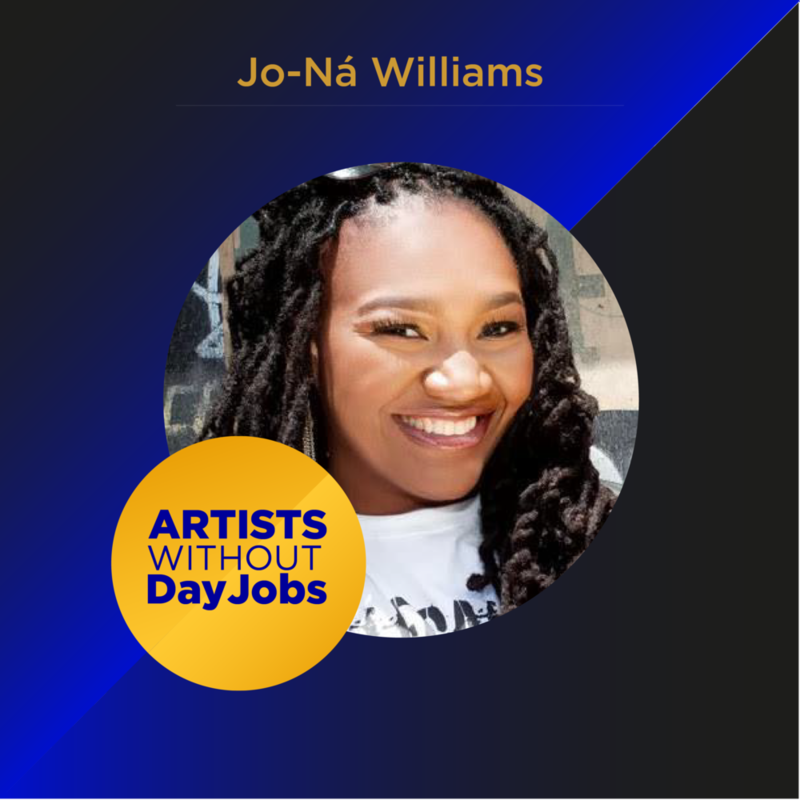 If you want to connect with us check us out on IG at jwilliamsesq or email us at artistswithoutdayjobs@gmail.com. 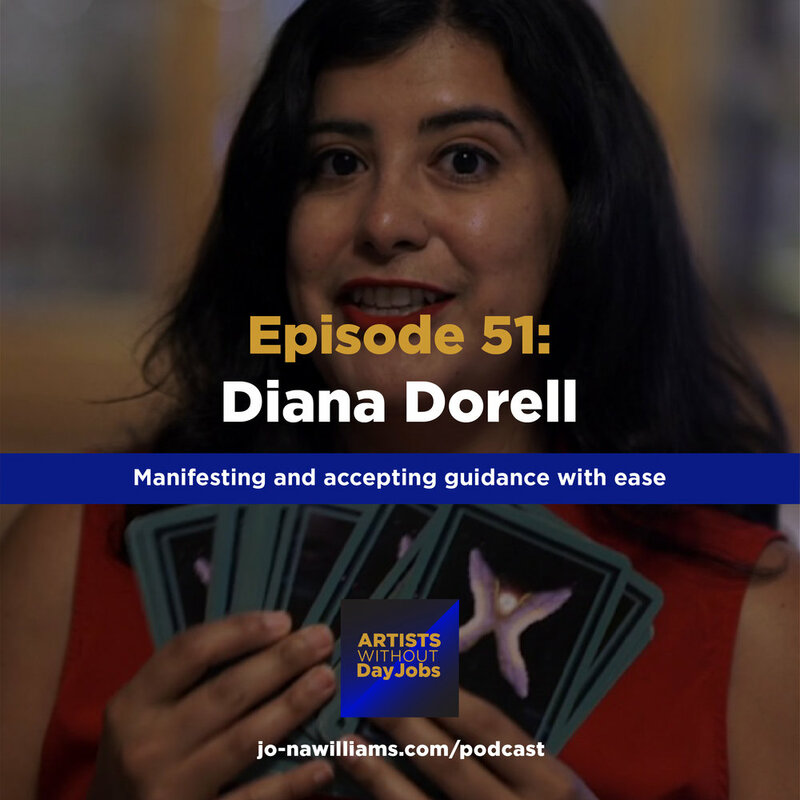 This week, we speak to the amazing healer, Diana Dorell. This woman has always been the master at manifestation and allowing the magic to show up. I can't wait until you hear what she had to say regarding allow the Universe to bring you what you desire! LIONEL RICHIE, INDIA.ARIE, TONI BRAXTON, YOLANDA ADAMS, and others. STEVEN VAN ZANT (BRUCE SPRINGSTEEN AND THE E STREET BAND). “TWENTY FOUR SEVEN WORLD TOUR”, which was the largest selling tour of 2000.
working with GRAMMY AWARD WINNING PRODUCER, MARK BATSON (DR.
DRE, EMINEM, JAY-Z, ALICIA KEYES, ANTHONY HAMILTON, INDIA.ARIE). where creativity and expression is developed into hits, happy clients and career success. Ep 47: Diversity & the Inkblot with Project Inkblot! Today we speak to the powerful women behind Project Inkblot is a NYC based consultancy that developed Design for Diversity™(D4D), a powerful design & capacity building framework to help teams build inclusive and equitable services, products and content for all people. I met these two beautiful souls when we were doing a speaking gig together at Brooklyn Museum! Today we discuss their powerful story of how they developed their amazing company and their mission to continue changing the world in their way. Ep 46: Taking care of your personal relationships while you're "entrepreneur-ing"
I didn't meet Sara Kay at an art gallery, but as we were both getting our yoga certifications and was introduced to her amazing work. I invited her on the show because I knew she could give some serious advice to those in the visual art world on how to make it work. She's a powerful voice for women in the arts and just a joy to speak to. Please welcome this powerful changemaker, Sara Kay. With nearly 20 years of experience and a diverse background that includes conservation, museum, auction, gallery and non-profit, Sara is considered both an industry specialist and a tastemaker. Prior to founding her art advisory business in 2015, Sara was Director of the globally renowned contemporary art gallery, White Cube in London. Sara is the Founder and Chairman of the Board of Directors of the Professional Organization of Women in the Arts, a nationally recognized 501(c)(3) that champions professionalism and the advancement of women in the business of fine art. She has lectured extensively on the topic of collecting and the art market and serves as an Adjunct Faculty member at the Sotheby’s Institute of Art’s M.A. Art Business Program offering a discourse on the subjects of best business practice and career development. In 2015, Sara was awarded Parmigiani Fleurier’s Women of Exception prize for her professional distinctions and philanthropy. Have you ever wondered how people build successful spiritual businesses? From Psychics to tarot readers, so many people have spiritual gifts and don't understand how to build a sustainable living from them. Well If you're wondering, Dr. Deganit Nuur one of the most successful spiritual teachers in the wellness world shares her story of how she built her wildly successful practice, Nuurvana starting from the early days. This episode will totally demystify the process. Let's dive in! Dr. Deganit Nuur is a world-renowned spiritual teacher, intuitive, acupuncturist, writer, and lecturer. Nuur was named “Top 15 Intuitives Globally” by Gwyneth Paltrow’s publication Goop. Nuur created and teaches the revolutionary Nuurvana Method™, which is based upon traditional Eastern Philosophy that seeks to integrate mind, body, and spirit. The Nuurvana Method goes beyond what meets the eye to heal the spiritual plane, resulting in profound shifts in mind and body and thereby reintegrating spirit into alignment with one’s true purpose and passion. The method is effective in treating chronic back pain, depression, anxiety, fatigue, sleep problems, among others. Nuur speaks at corporations and conferences, globally leading talks and workshops on intuition, teaching audiences how to live up to their pure potential, and finding their true path. Nuur and the Nuurvana Method have been featured on the Today Show, Good Morning America, New York Times, Elle, Vanity Fair, Goop, and Daily Candy, amongst others. Nuur was selected to be the featured Intuition expert for Goop. You can check out her amazing company at nuurvana.com and on all social media at @nuurvana. 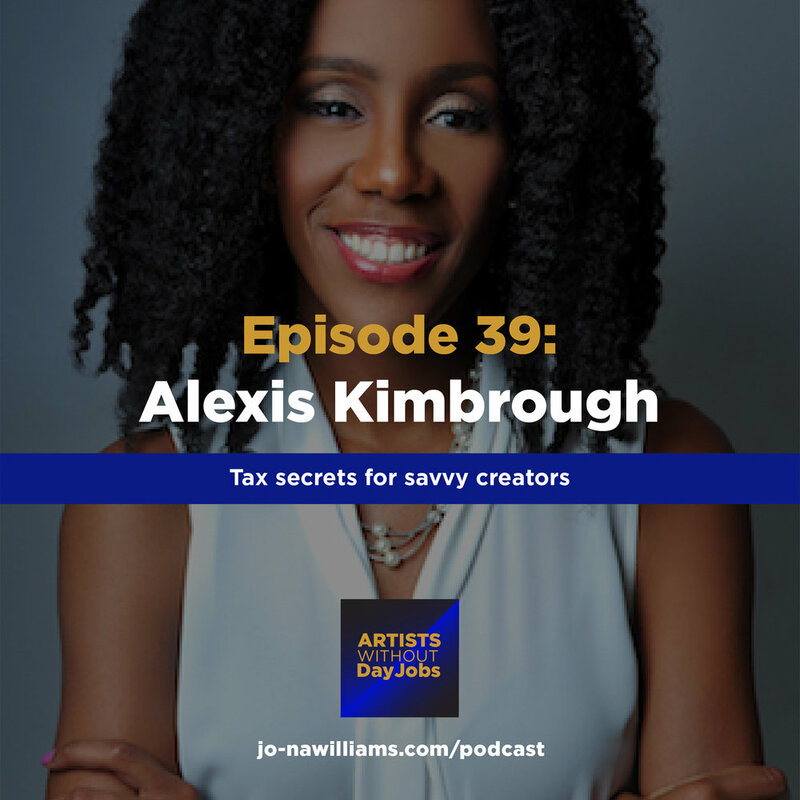 Today we're talking to Alexis Kimbrough of the Tax Firm, Growth Group and we are so excited about it. She runs a firm specifically geared towards helping musicians create the best tax strategies and the right foundation for their career. We have the opportunity to get all the savvy secrets on what we need to do for before the tax year starts! Can't wait for you to hear this episode. I received my degree in accounting while a member of Howard University’s “Showtime” Marching band, where I performed alongside numerous musicians and performed internationally. Followed by a master’s degree in tax, I helped billion dollar corporations reduce their taxes by millions of dollars. Going back to my musical roots, I have dedicated my accounting career to helping music creators make a prosperous living by loving their craft. My music education made me the CPA I have become, through scholarship and the requirements of developing skill through practice and dedication. This episode is really special because we get to hear the story of following your dreams from the perspective of an indie musician. Malia's music will touch your soul and her story is so inspiring. Hope you enjoy it. Music has always been a meaningful part of Malia’s life but was not really a focus until finally picking up the electric guitar a few years ago. Garnering an early buzz as an acoustic singer/songwriter, her recent studio work and live show reveal that this PNW-raised, LA-based songstress is paving her own way as the lead guitar player in her outfit assembled of friends and collaborators. Her latest project, ‘Late Bloomer’ is now available everywhere and it’s clear that Malia’s presence is only going to grow! I'm so excited for today's episode. We speak to Shaman Durek an incredible healer, prophet and spiritual leader on the planet. He shares with us how we can continue to access our own personal freedom over our circumstances. 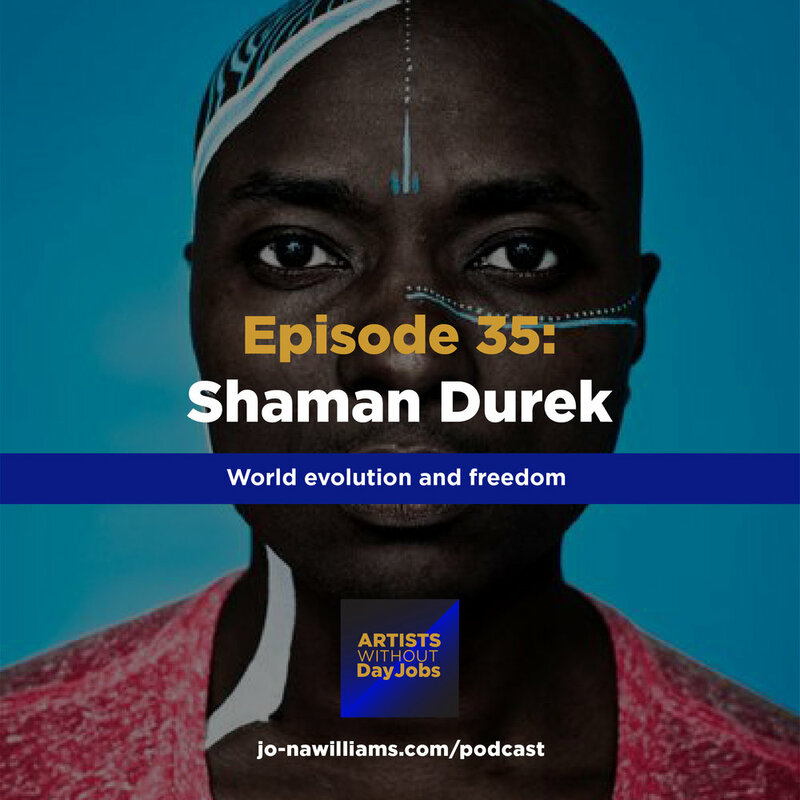 Sometimes the artist journey has some pitfalls and stumbling blocks but Shaman Durek shows us how to have power over our lives not be victim to them! This is a powerful one. Hope you enjoy. “Shaman Durek is a 3rd generation shaman who has devoted decades to study and practice in becoming a thought leader and spiritual enthusiast for people all over the world. He is an author, activist and a women’s empowerment leader. Durek acts as mediator or “bridge” between the spiritual and physical planes and applies ancient spiritual wisdom, coupled with decades of devoted study and practice, to help bring success, happiness, and healing into clients’ lives. Shaman Durek comes from a long lineage of spiritual practitioners including ministers, oracles and healers.